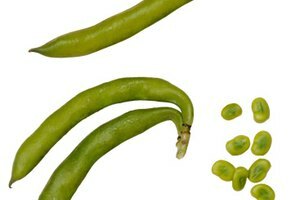 Field peas, also known as Southern peas or cowpeas, are actually a bean that is picked in the green stage and dried. 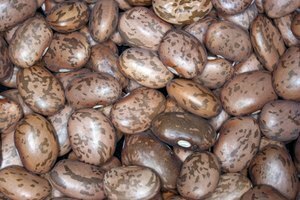 These are often sold at grocery stores as dried peas for use in soups and other dishes. 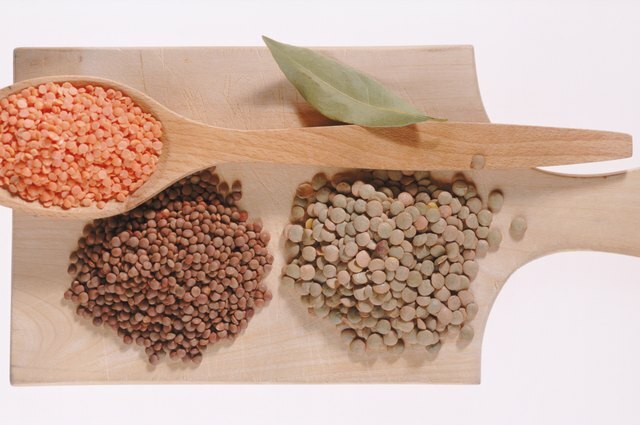 Like other members of the legume family, field peas are a source of fiber and protein. Since the peas are dried, they must be cooked properly in order to rehydrate without losing any of their flavor. Place dried field peas in a large pot. Sort through the peas, discarding any that are shriveled or discolored. 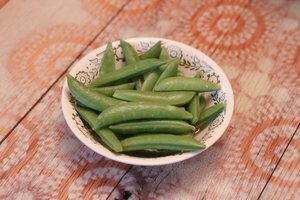 Pre-soak peas by pouring 6 cups into a large pot filled with two to three times the volume of cool water and covering. Bring to a boil. Maintain the boil for two minutes, remove, then turn off the heat. Let stand two hours. Alternately, you can fill the pot with the water and let the peas soak overnight in the refrigerator or for eight hours at room temperature. Soaking helps reduce cracking and bursting of the skins while the beans are being cooked. Pour off the boiling or soaking water. Refill the pot with clean water and add 1 tablespoon of your preferred cooking oil to the water. This prevents the peas from foaming while they cook. Place the pot on the stove top and cover. Bring to a boil, then reduce to a simmer by lowering the burner heat. Simmer peas for 30 minutes to two hours. Stir the peas every 30 minutes and check to see if they are done. Peas are done cooking when they are tender enough to pierce with a fork. One pound of field peas makes four to six cups of cooked peas. There are about two cups of dried peas in a pound. Store peas in an airtight container or bag until ready to use. Use the cooked peas in pea and ham soup, serve as a side dish, or use in rice dishes similar to how you would use black-eyed peas.